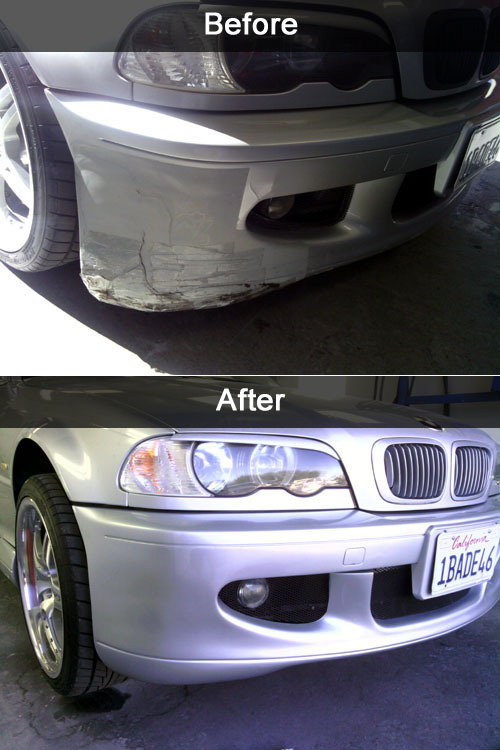 We can save most plastic bumpers, and they don’t always need to be replaced after a small collision. Our technicians can repair dented and scratched bumpers with new innovative techniques. We offer same day service on bumpers that do not require painting, and we guarantee your satisfaction! Our repair facility has been certified by Bay Area Quality Control as being environmentally safe. All of our painting is done in a paint booth to eliminate any hazardous fumes. We use only water based paint that meets or exceeds all EPA standards. If your bumper cannot be repaired, we can usually replace it in one day if we pre-order the parts.